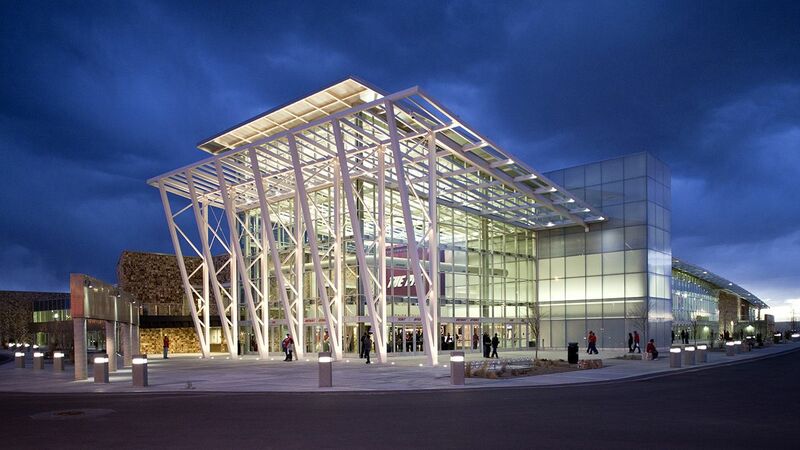 The U.S. Green Building Council released its LEED in Motion: Venues report, which highlights the efforts of convention centers, sports venues, performing arts centers, community centers and public assembly spaces to transform their environmental, social and economic footprint through LEED (Leadership in Energy and Environmental Design) certification. The report showcases some of the most impressive green venues around the world including WisePies Arena, a.k.a. The Pit. Venues that incorporate LEED, the world’s most widely used green building rating system, into their buildings enjoy increased cost-savings, decreased annual operating costs and a higher return on investment overall. According to the 2015 Green Building Economic Impact Study, from 2015-2018, it is estimated that LEED-certified buildings in the U.S. will have saved more than $2.1 billion in combined energy, water, maintenance and waste savings. LEED is used in more than 164 countries and territories with international demand continuing to grow. According to the Dodge Data & Analytics World Green Building Trends 2016 SmartMarket Report, global green building continues to double every three years. In the next 10 years, green building’s growth rate is expected to continue at both the domestic and international levels. USGBC’s recent Green Building Economic Impact Study analyzed the economic impact of green construction on the U.S. economy and found that LEED-certified buildings account for 40 percent of the green construction market’s contribution to the U.S. GDP in 2015. The report also projected that by 2018, green construction will account for more than 3.3 million jobs and generate $190.3 billion in labor earnings in the U.S.